Want a strong and successful SV region for the generations to come? The technology companies of the SVTC represent the building blocks of economic success. 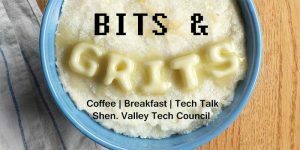 If you want to help build a strong local technology community, the SVTC welcomes your support and active participation. The SVTC represents the collective interest of technology companies in the S.V. region. We also serve as the interface to many government and non-profit organizations on behalf of our membership. The SVTC is an advocate for the region on a broad range of technology issues at the local and state level.